Hi guys! I know we took last week off from TST, but in the meantime my cohosts and I have been brainstorming ways to improve the format and create some buzz! Today I am going to tell you all about the exciting Thrift Score Thursday changes coming, but I also wanted to share Emmy’s find from this past weekend at Nest Fest. So how about the pretty pictures first, and then all the information about our changes. Because we all like to see pictures first, right? 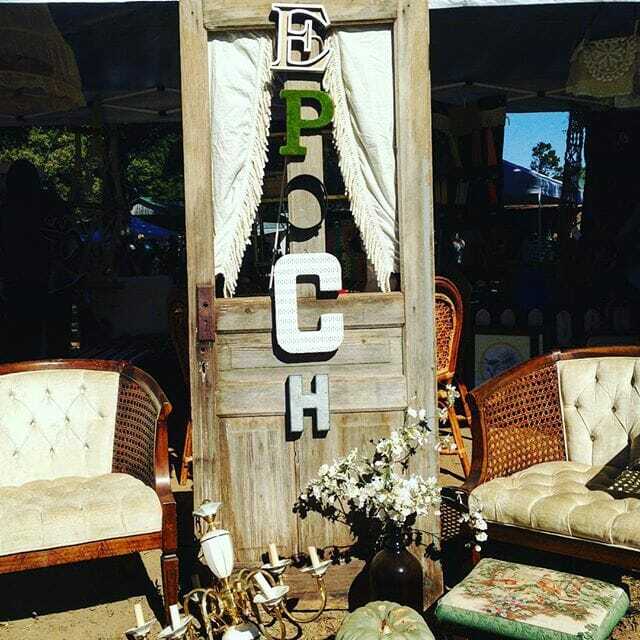 Their name display was perfection, and then those chairs! 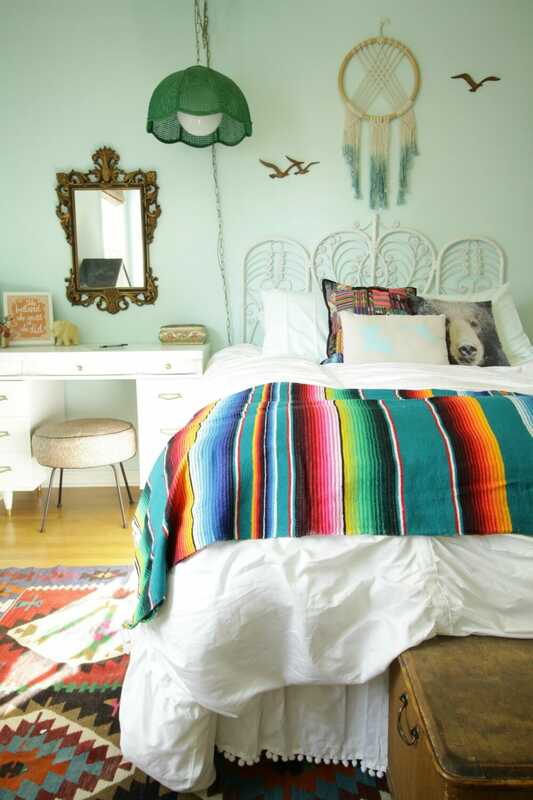 They had a few awesome macrame pieces, vintage textiles I was drooling over, and more. I grabbed this photo from their instagram feed. Emmy and I both had fun shopping their space, and she picked up this little box and fell in love! It wasn’t priced but the girls quoted it at $10, so we took it home for Emmy’s room. For now I’ve placed it on the desk in her room, and maybe you noticed it in yesterday’s post. I am sure Emmy will stuff it full of notes and pens and all sorts of hoarded junk… maybe lollipop sticks. I mean, you really never know. 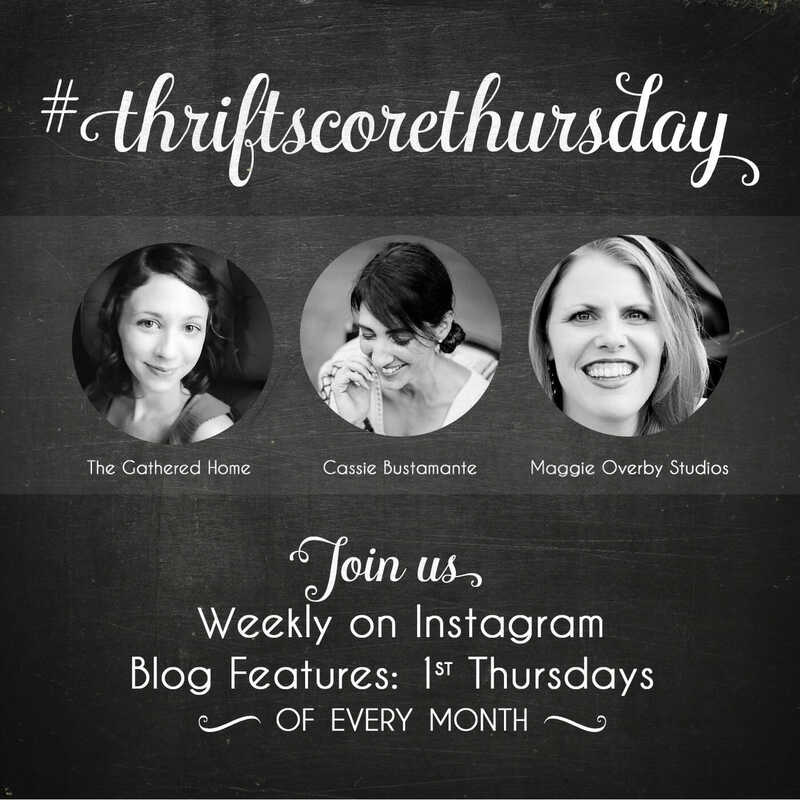 So now, let’s talk about all of the exciting changes in store for Thrift Score Thursday! We are moving to a monthly features format. To be quite honest, it’s a lot to prepare a blog post each week and get all the features on instagram. We also want to focus on those finds that are extra special AND beautifully staged and styled in your home. Frankly, if I am going to put it on my blog or in my instagram feed, I want a beautiful photo. You can still keep up with the hashtag on Instagram each week, and each host will be sharing a favorite feature there each Thursday. Our first monthly feature post will be 12/1 with the new format kicking off then. (So November is basically a break). AND in that first post in December…..there will be a fabulous surprise thrifted giveaway! One thing I want to also mention is that Corinna of A Designer at Home will not be continuing as a host, but not to fear… it’s all amicable and we’re all still friends! We all just need to do what’s personally best for ourselves. I also want to say a HUGE thank you to Brynne… she is really the mastermind and energy behind TST. She keeps us all organized and on task, and is our fearless leader. We couldn’t do this without her. Now head over to my cohosts to see what they’ve got to say today! i am so happy to hear that- it was awesome to meet you both and shop your awesome finds! yes! you can call it GAS! That is the coolest little box! I can relate to the lollipop stick comment. So annoying. right? kids are the grossest. isn’t it fun? i have no idea what i will give away yet!!! but i do think the bison tapestry will come down and i don’t have a place for it… so…. Hi Cassie! I am so honored that you liked and featured the booth my sister (Stephanie) and I had at Nest Fest! It was lovely to meet you (in person!) and Emmy, and I’m happy she found a treasure for her “new” room! Meeting you was one of the highlights of that day and I hope our paths will cross again one day soon! Such a cool little find! And exciting changes for TST! Glad you aren’t ending it! i knew i had seen it before and could not remember where!!!!! ha! emmy has good taste! Sounds like a much more manageable format for you ladies. Glad you’re keeping it going. It’s fun to see everyone’s fun finds! yes totally! it is fun! 🙂 hey, so i am going to go to SC next thursday morning- you wanna go? it was so great to meet you guys, too! emmy loves her little box, and i, too, hope we meet again. i am hoping to go back next year- i hope it was a smashing success for you guys! 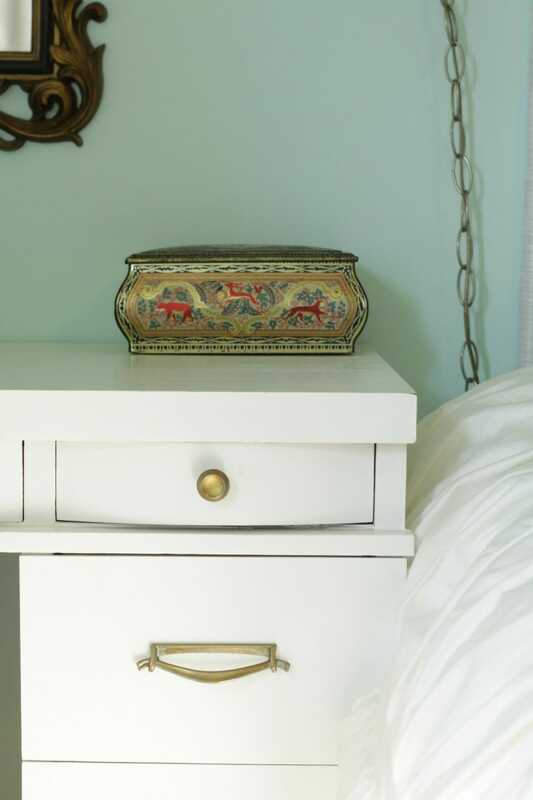 Oh how beautiful is that trinket box and a steal at $10! Emmy must love it! As a someone who has guest host I know first hand how much work it is for you ladies to put together TST each week. Love the new format and can’t wait to start playing along again! That is the cutest little box! Emmy has a great eye! Thank you for the sweet words, Cassie! <3 Viva la Thrift Score Thursday!